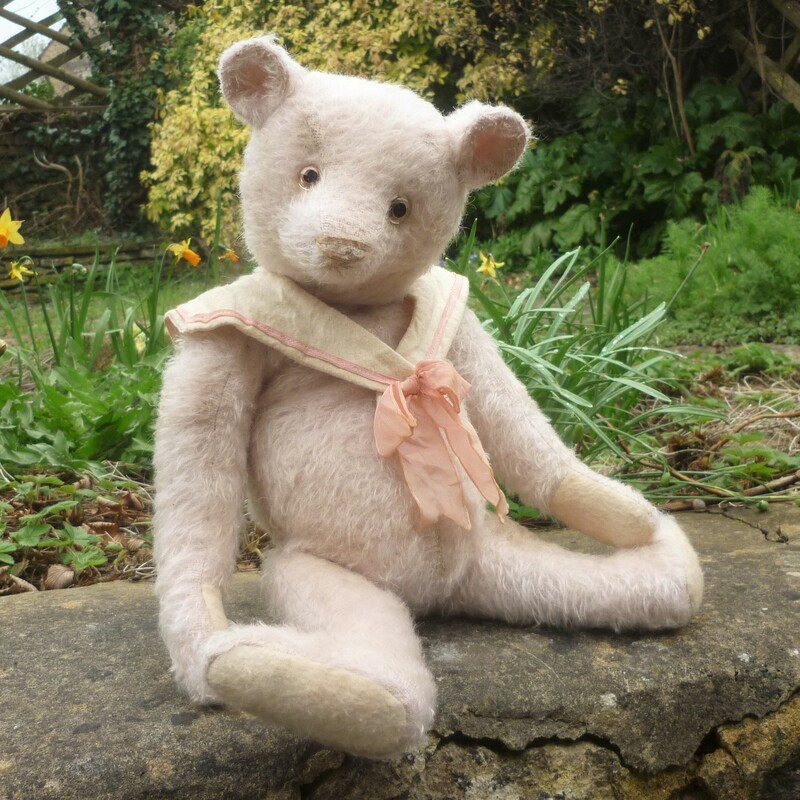 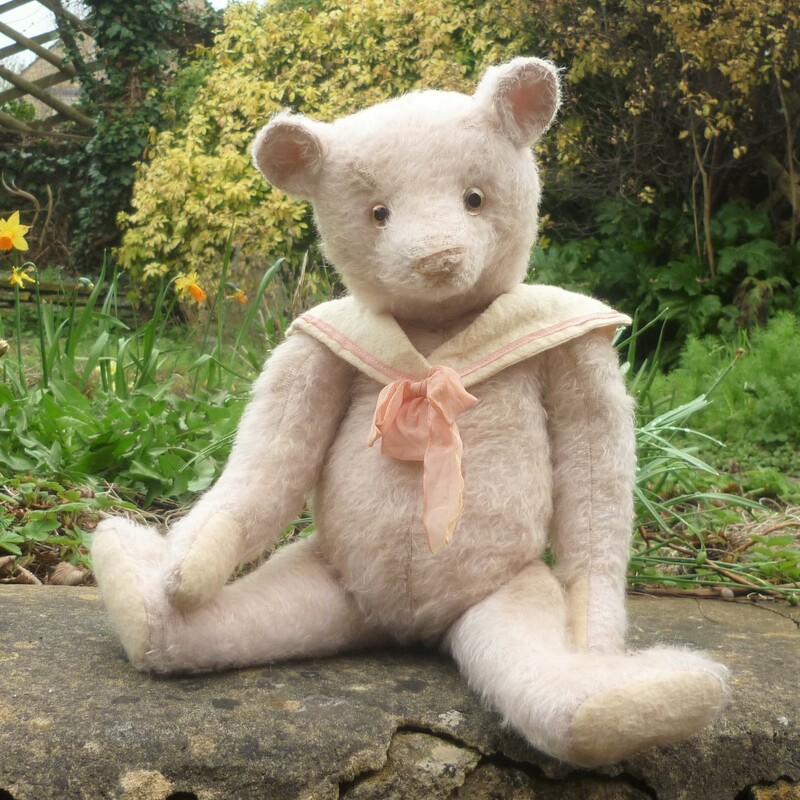 Roger is made of sparse and aged pink mohair and wears a brushed cotton cream sailor collar, edged and fastened with pink ribbon. 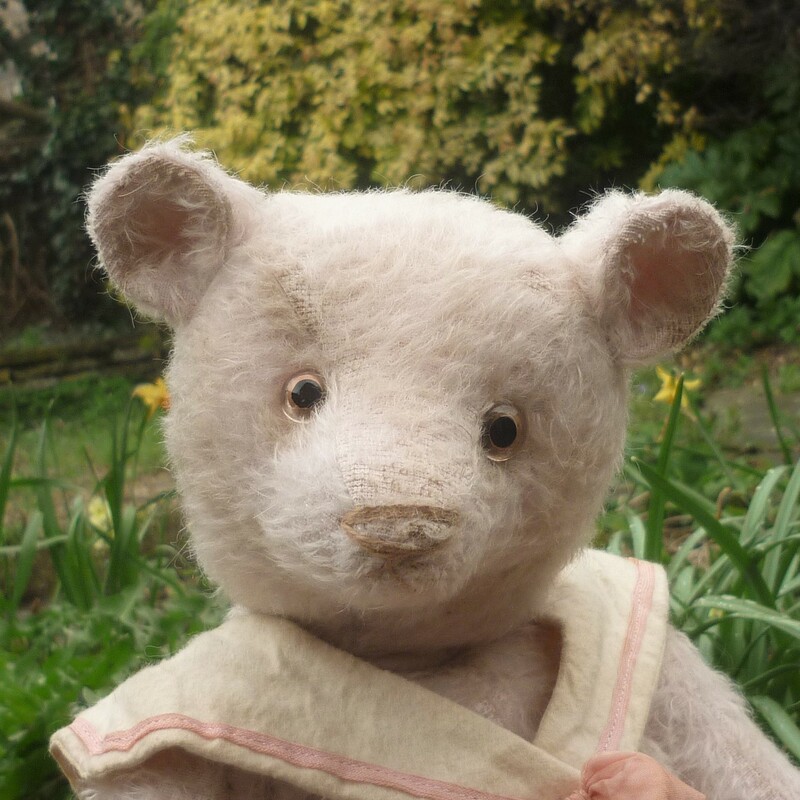 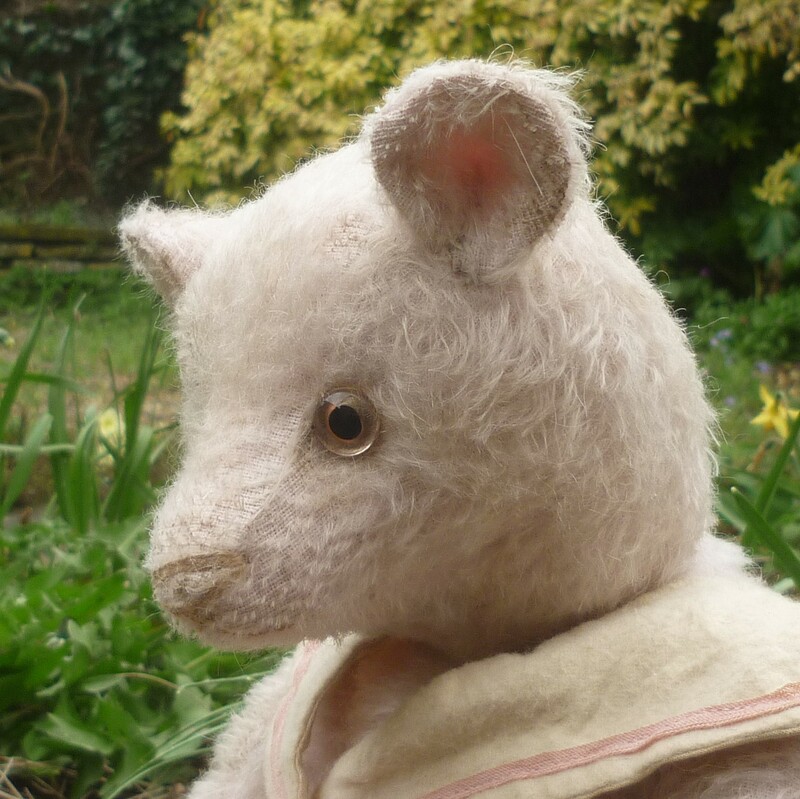 He has pink and black glass eyes, a pale brown skip-stitched nose and is filled with wood shavings and weighted with mineral granules. One of a kind.